My stay was hosted by Grand Legacy at the Park. As always, all opinions are my own. 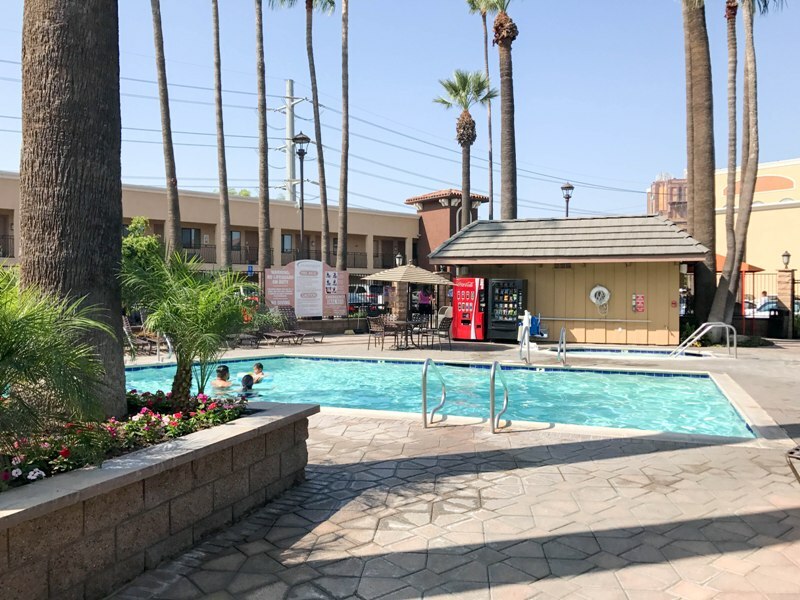 A couple weeks ago I had the opportunity to stay at one of the newest Disneyland Good Neighbor Hotels on Harbor – Grand Legacy at the Park. 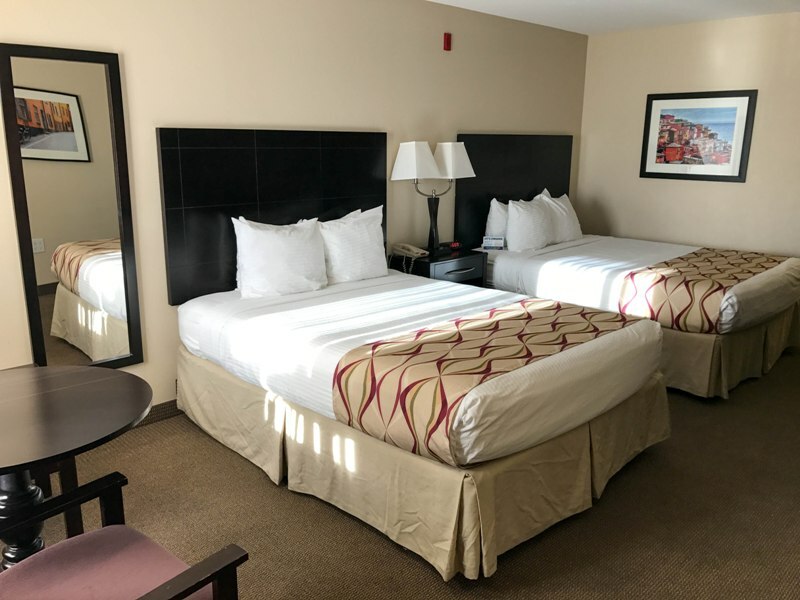 This hotel used to be the Ramada Maingate and was renovated in 2016. 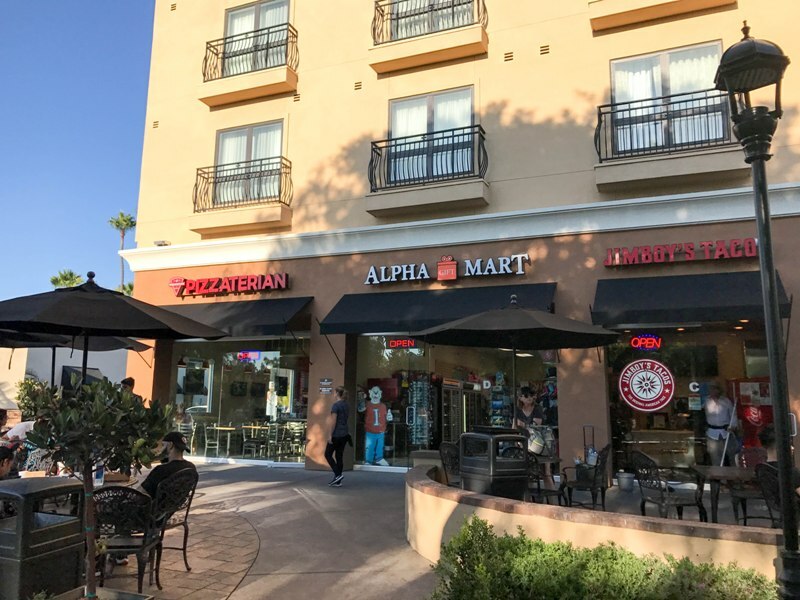 It is right on the corner of Harbor Blvd and Disney Way, and is a quick 5 minute walk to the Disneyland main gate. 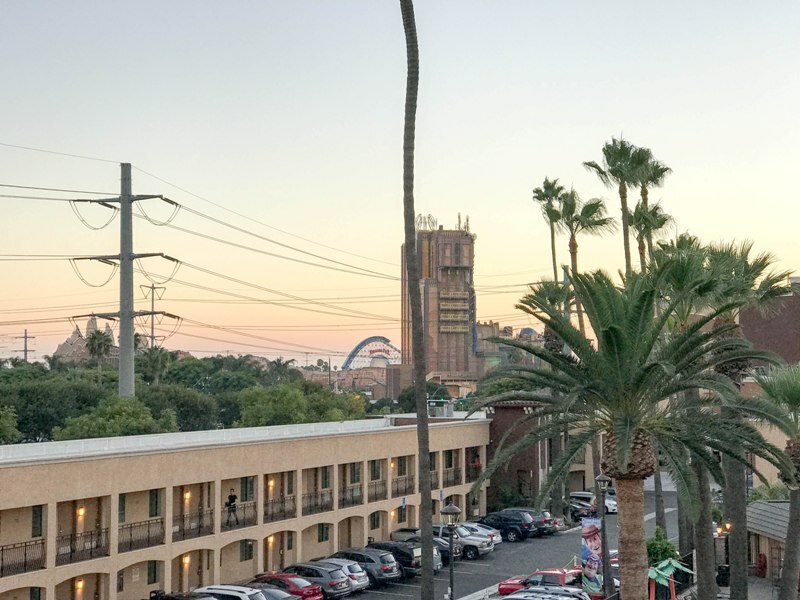 It had been a while since I stayed at a hotel on Harbor and I loved how close this hotel is to the Parks! When I arrived in the early afternoon, my room wasn’t ready yet but I was given a parking pass and a key to access the pool area. 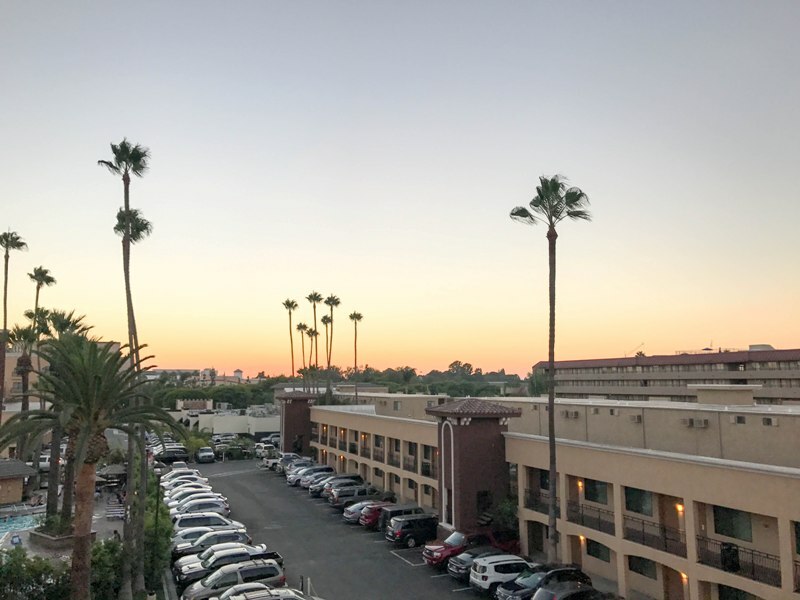 Also when I checked in I discovered their rooftop lounge THE FIFTH was closed that night for a private event, which was a huge bummer because I hear they have great views of the Disneyland fireworks from up there! So unfortunately I was unable to check out the lounge but hopefully I’ll be back soon and I can update this article with pictures. If you find yourself in this same predicament, know there are other food options right next door, and Gardenwalk is just a short 10 minute walk from the hotel. My room ended up being on the fourth/top floor of the back building. 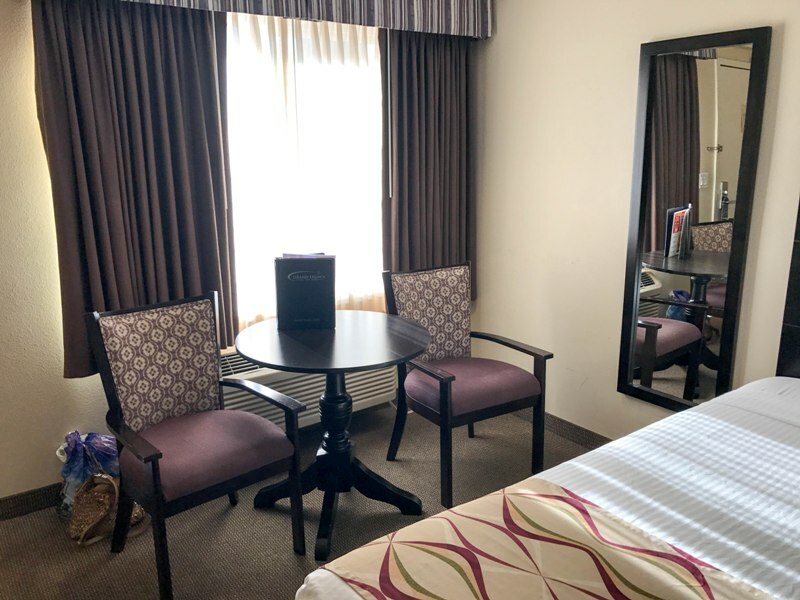 The room had two queen beds, a small table and chairs, a dresser, armoire, flat-screen TV, microwave and mini fridge. So Cal was experiencing a heat wave and was pleasantly surprised to discover the AC was already running and my room was nice and cool. 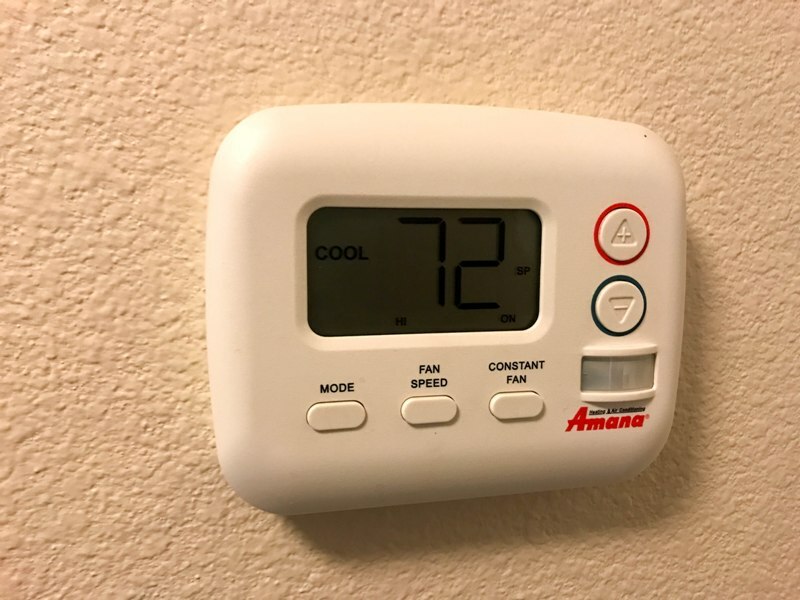 Even though the rooms have wall units for AC and heating, there is a temperature control by the door so you don’t have to climb around the table to reach the unit. 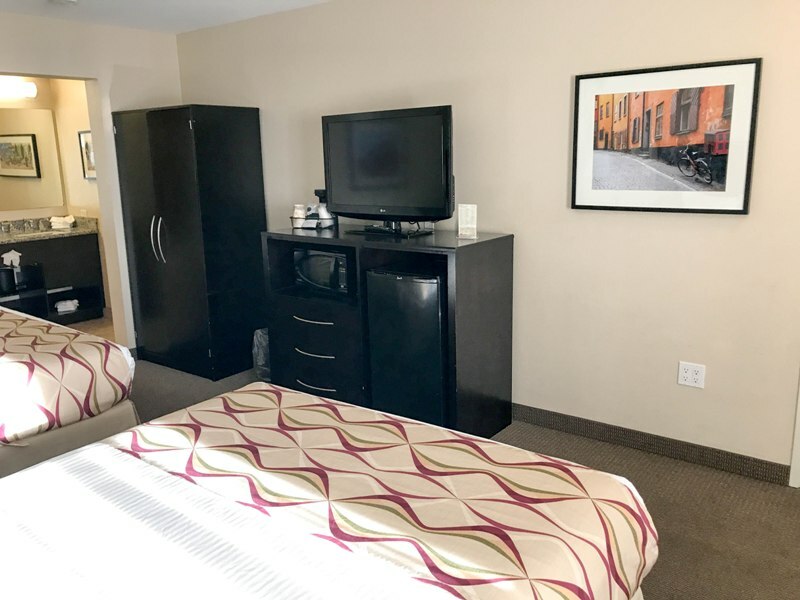 Everything about the room is new and modern and clean. The color palette is neutral with dark stained wood furniture and crisp white bedding. 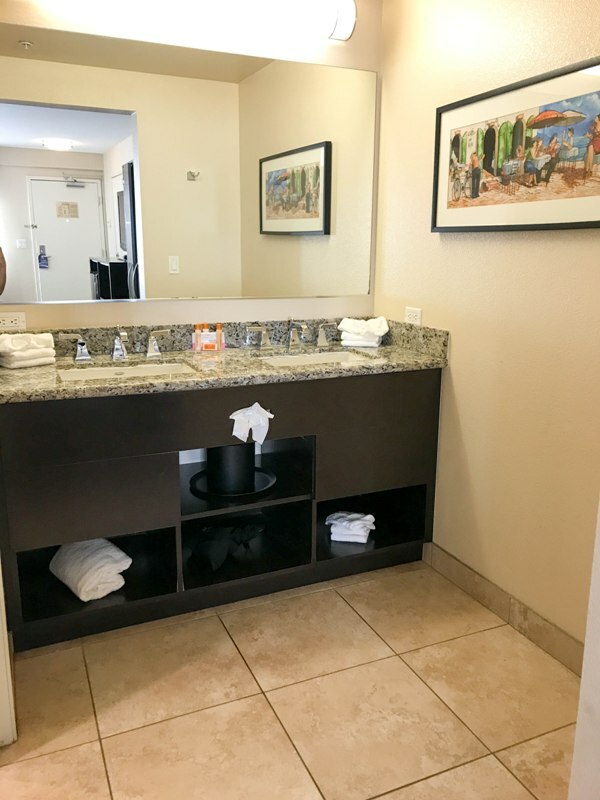 The main area of the room has carpet and the bathroom has tile, as well as gorgeous granite countertops. Another nice thing about this room was the abundance of outlets! So many times I stay in a hotel and can’t find the space to plug in all my electronics. I’ve even started traveling with an extension cord. But the cord was not needed at Grand Legacy! The bathroom area is split, with the vanity area separated from the toilet/shower. This comes in handy when I need to do my makeup but hubby wants to shower. 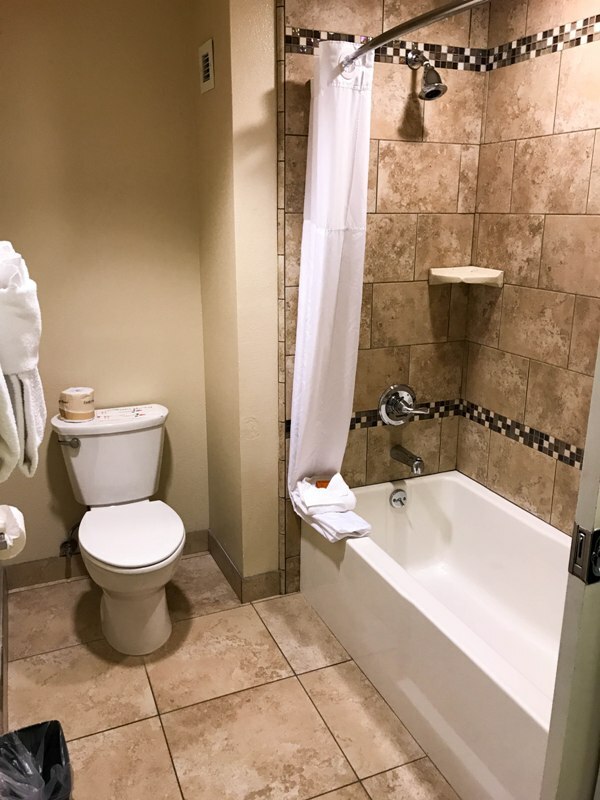 The room comes with the standard amenities – shampoo, conditioner, soap, lotion – that all have a wonderful blood orange scent. I brought the lotion home with me, I loved it so much. And it’s like the Grand Legacy knows I always forget my makeup remover because they provided two individually wrapped wipes. 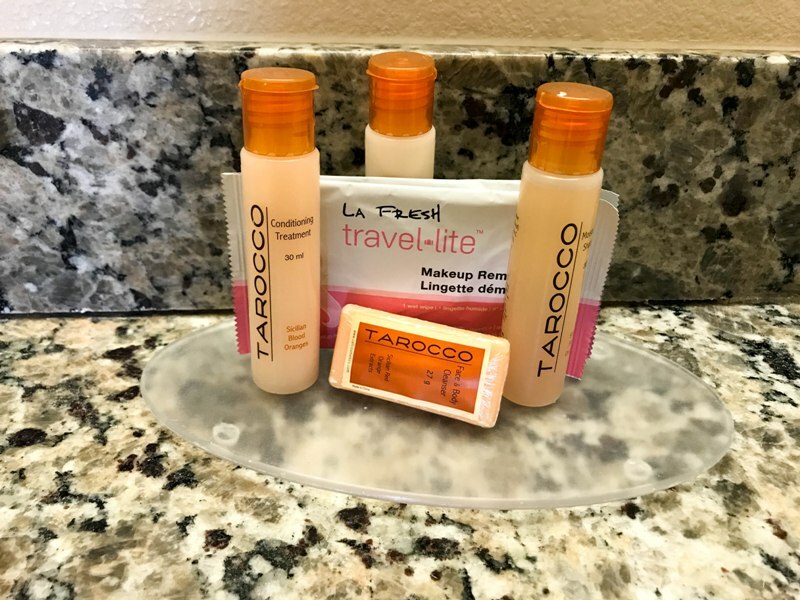 I’ve never seen this provided at a hotel before, and it was MUCH appreciated! If you want a full tour of the room, watch this video! Even though I couldn’t access THE FIFTH rooftop lounge, I was able to catch a beautiful sunset from outside my room. 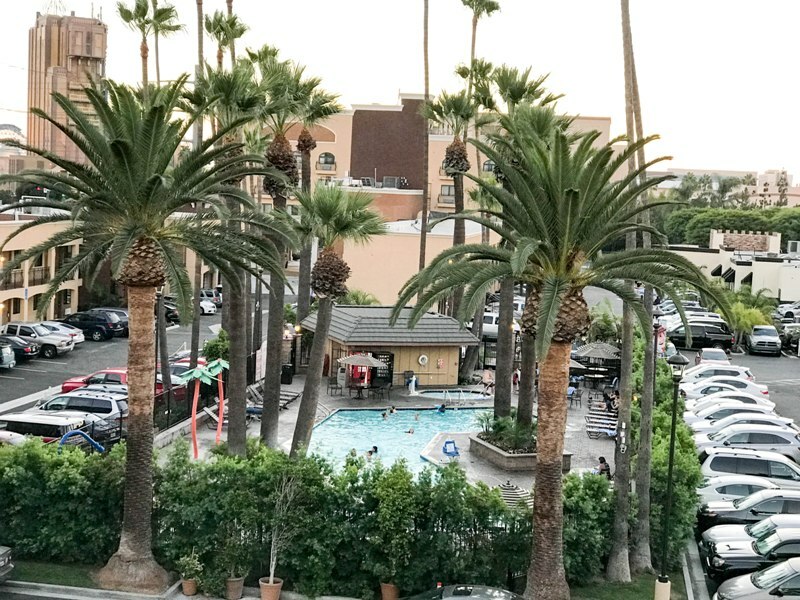 While I didn’t have time to enjoy the pool area this trip, it sure looks nice. 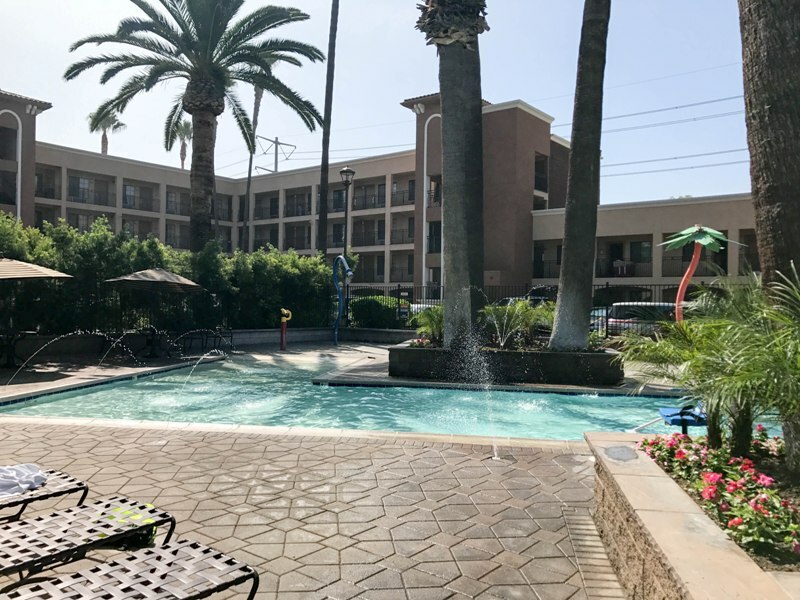 There’s a main pool, hot tub, and even a splash pad area for young swimmers. 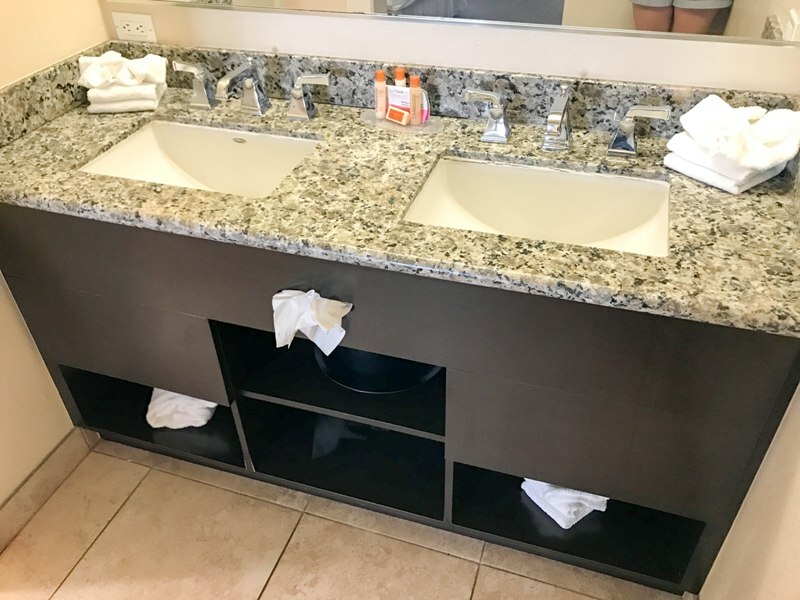 They have vending machines for sodas and snacks, and plenty of towels so you don’t have to bring them from your room. 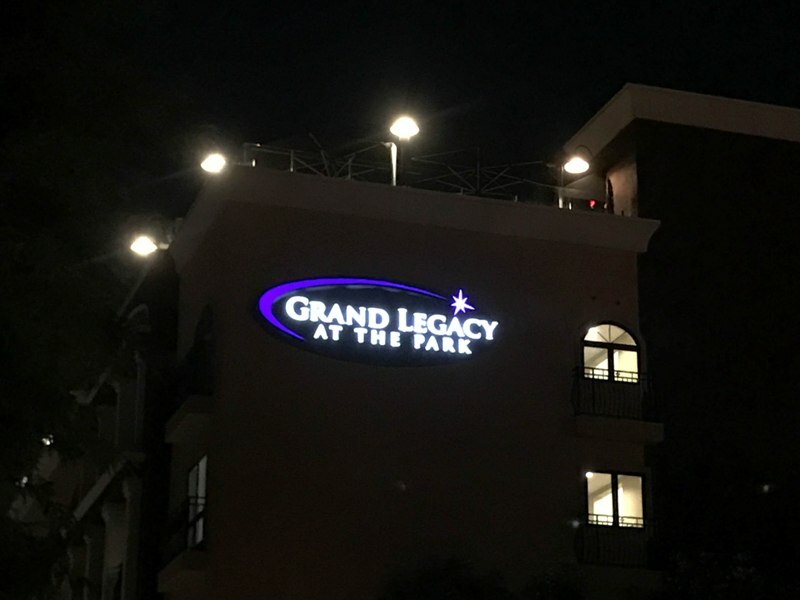 Overall I really loved my stay at Grand Legacy at the Park. 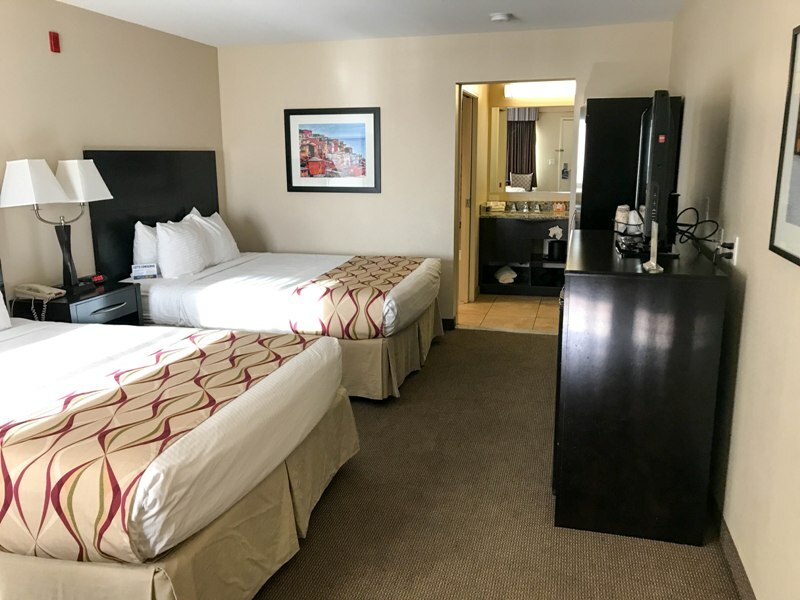 The room was clean and spacious, the proximity to Disneyland and Gardenwalk is fantastic, and every staff member I encountered was super friendly. I wouldn’t hesitate to stay here again. 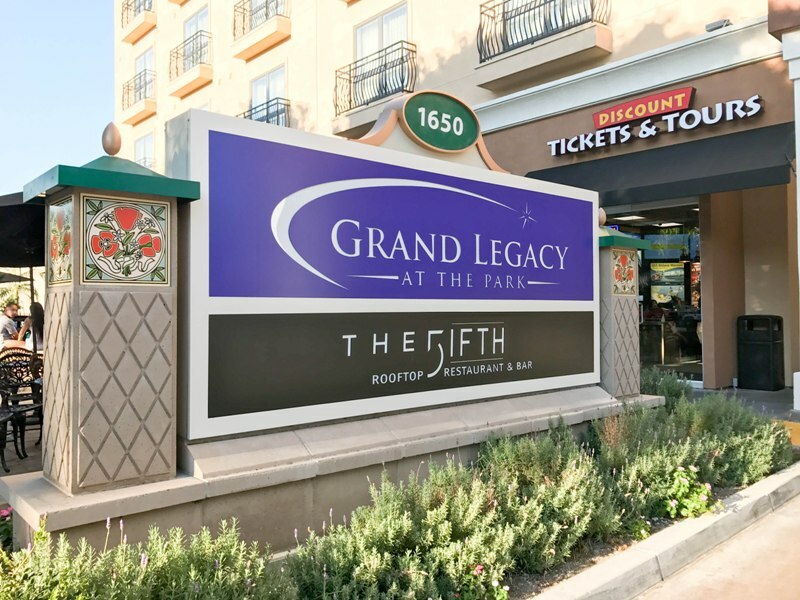 Check the Grand Legacy at the Park website for the current room rates, and Annual Passholders – they have a special rate for you!